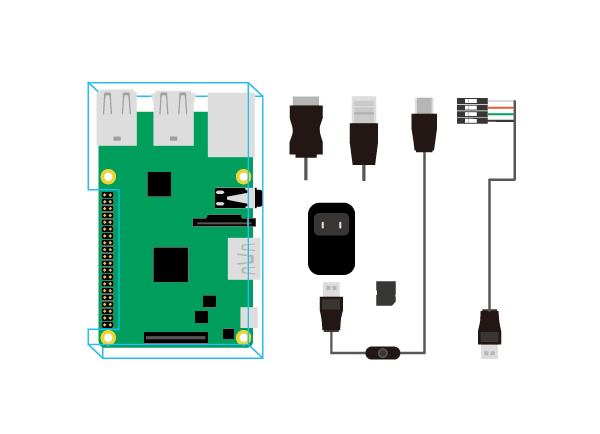 When you get your first Raspberry Pi B+ single-board computer, you have to prepare a lot of peripheral devices, such as USB cable, SD card which must be installed OS, HDMI cable, etc. So, you may buy all devices online, and your time and money will be wasted. This kit has two versions, one is included Raspberry PI B+ board, another not include. 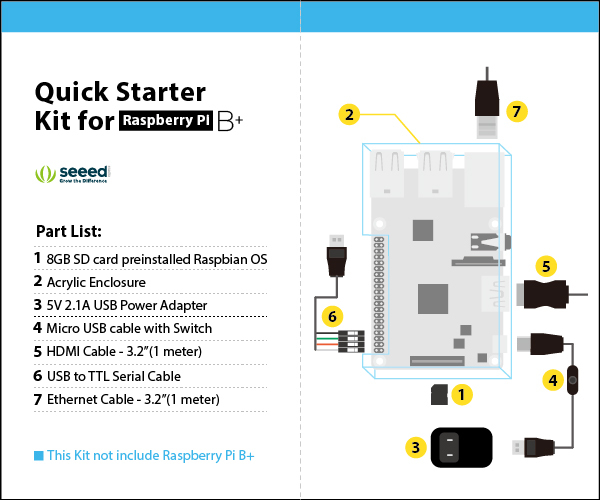 This kit is consist of 7 devices (except Raspberry Pi B+), such as 5V 2.1A power adapter, USB cable with switch, etc. You can get full part list in Include section.